No nonsense good quality pedal extenders from Jtek. Do you suffer joint pain when cycling? Often all you need is a slightly more toe out foot riding position to relieve hip, knee or ankle pain. If your heel or toe rubs on your crank arms you will damage your shoes, pedal axle extenders will prevent them rubbing. 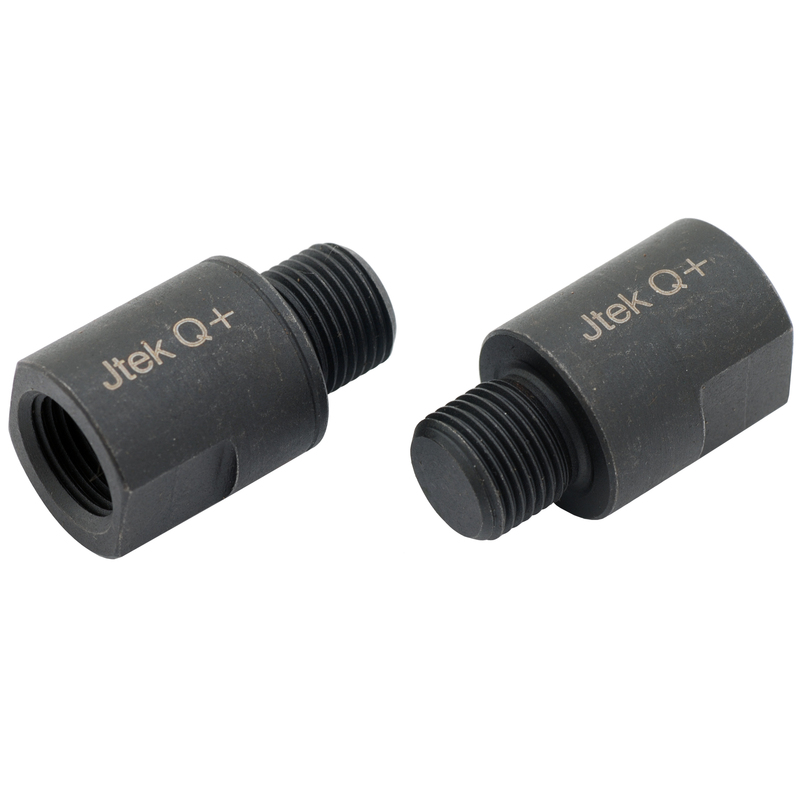 Jtek pedal extenders work by extending the axle length of your pedals. This allows a greater variety of foot angles while pedalling without your foot making contact with the crank arm of your bicycle. They will work with all adult 9/16 inch crank arm / pedal combinations.